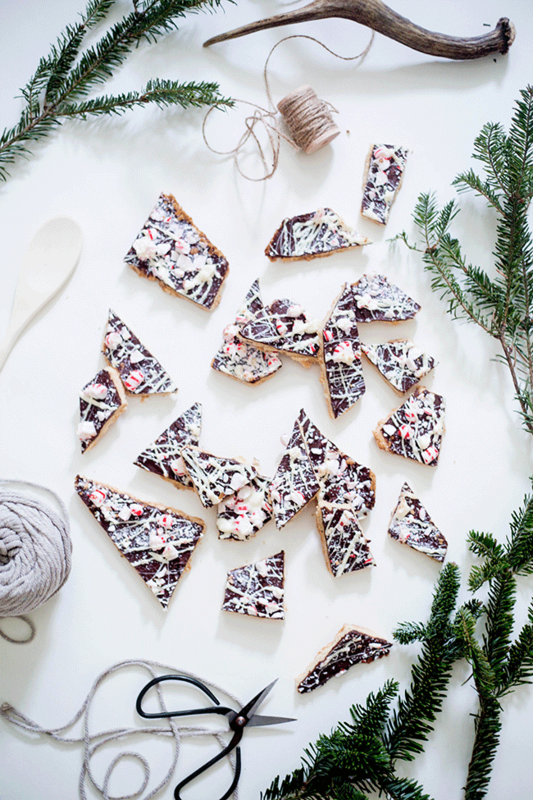 If you're up for some mad holiday baking this week, I highly recommend this simple and delicious cookie bark. It's pretty ridiculous and super easy to make! *Preheat oven to 350. Spray 13 x 9 pan with non stick spray and line with parchment. You'll be using this as a "handle". Beat butter in a large bowl until creamy. Gradually beat in sugar. Continue beating until the mixture is light and fluffy. Beat in vanilla then egg yolk. Gradually add flour and salt, beating on low just to blend. Drop dough in prepared pan spacing evenly. Use moistened fingertips to press dough evenly along the bottom of the pan. Pierce dough all over with a fork. Bake the cookie base for about 30 minutes, until light golden brown and the sides start coming away from the sides of the pan. Immediately sprinkle chocolate chips on top and let stand until they soften, just a few minutes. 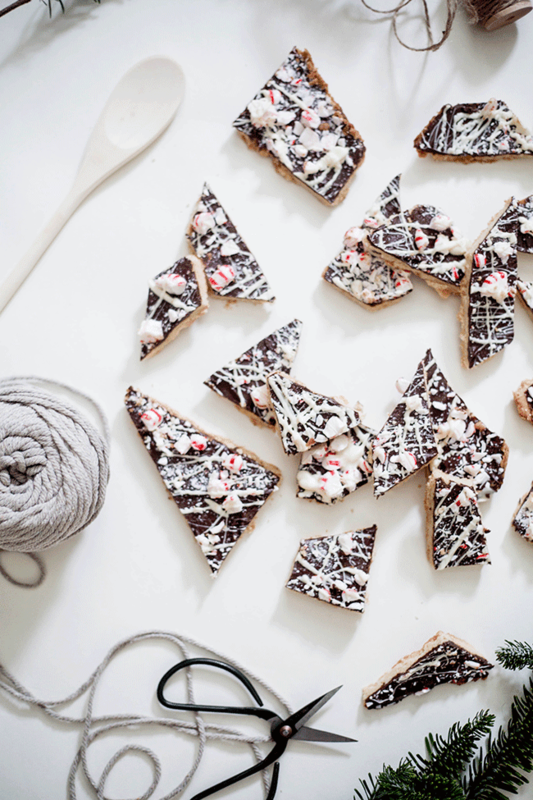 Use a spatula to spread the chocolate evenly. 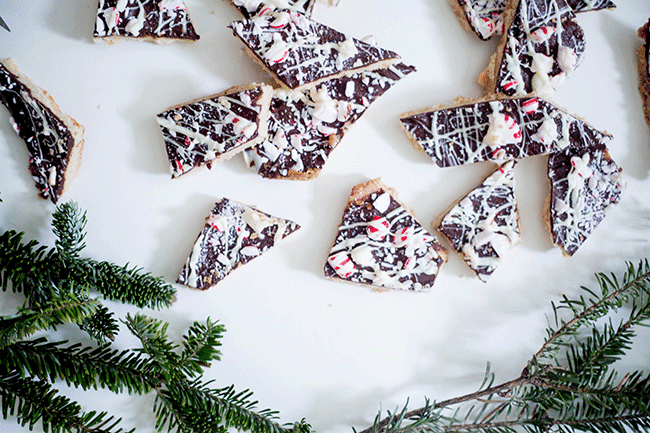 Immediately sprinkle chopped candy cane on top. Separately, microwave and stir white chocolate in small bursts until smooth. If it's too thick add a little vegetable oil. Use a fork to drizzle the white chocolate on top. Cool until white chocolate hardens, about 30 minutes. Using the paper as your handle, remove from pan and place on a cutting board. Using a large knife, cut the bark into irregular shapes or squares if you prefer.